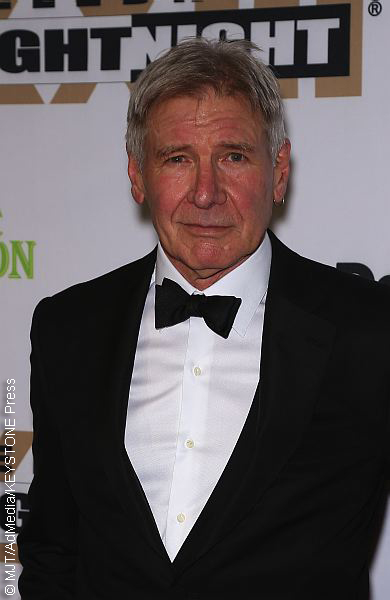 Harrison Ford claims he was distracted by turbulence from another aircraft when he mistakenly attempted to land his single-engine aircraft on the taxiway of a California airport last month, nearly missing a departing plane with 116 people on board. "I'm the schmuck who landed on the taxiway, " the 74-year-old actor told an air-traffic controller in an audio recording released Friday (March 24) by the U.S. Federal Aviation Administration. Seemingly confused about the situation, Harrison asked, "Was that airliner meant to be underneath me?" After realizing his mistake, the Indiana Jones star then said, "Oh. I landed on Taxiway Charlie. I understand now. Sorry for that." In a phone call with air traffic control following the incident, Harrison said he "got distracted by the airliner," also noting "big turbulence" from another landing plane. No one was harmed during the Feb. 13 incident, and the other aircraft involved -- a Boeing 737 aircraft on route to Dallas, Texas — took off safely a few minutes after. Video footage of the near-miss was later released by TMZ. According to the FAA, landing on a taxiway instead of a runway is in violation of regulations. An investigation of the incident is still underway, agency spokesman Ian Gregor said Friday. Although the Star Wars actor is an experienced pilot and an avid flyer, he has been involved in a number of aircraft incidents in the past. Most recently, he crashed a refurbished WWII training fighter on a Venice, California golf course in 2015, seriously injuring himself. Ummm if older people have to take yearly or more frequent drivers tests to be allowed a drivers license, then maybe it's time for Harrison to take some re-tests before he possibly hurts others. Just sayin. Just cause you've got unlimited planes, money and you're a celebrity, doesn't mean you can just get away with major infractions. Ouch. Distracted? His wife is a nutcase to get in a plane with him after all his accidents. Wrong. The golf course was a forced landing due to mechanical failure. It was actually remarkable flying. Nice writing. Don't let journalistic ethics and professionalism stand in your way.